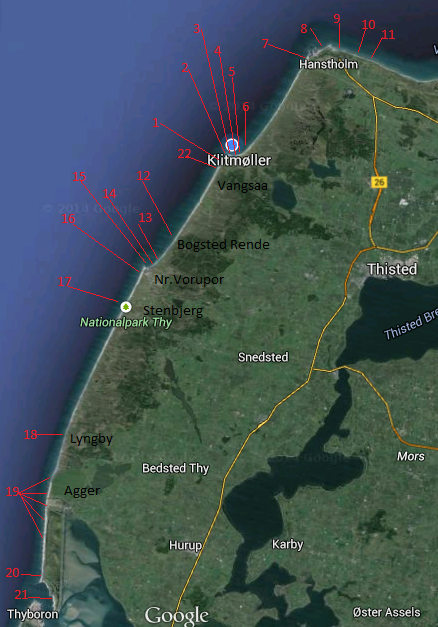 This is a simple and very useful spot guide I made from my personal experience surfing endless hours at the coastline of Thy, Denmark. 1. 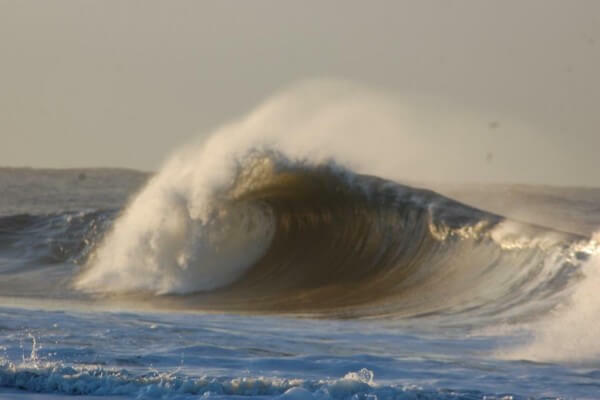 Bunkers – Bunkers is Denmark’s most famous wave, there its getting very crowded every time the forecast looks good. Bunkers is Denmark’s most famous wave, therefor its getting very crowded every time the forecast looks good. Go surf there is you known the basic rules of surf priorities and respect the local! Some of them have been waiting for this day and they don’t like when guests are sneaking direct to the peak. Wait for your turn patiently and it will pay off. SUP-surfers have to be expert before entering the water in the bunkers. Otherwise accidents happen easily. 2. Klitmøller Reef – The reef is a very easy wave where you will find a lot of new surfers and SUP’ers taking over the lineup. The reef is a very easy wave where you will find a lot of new surfers and SUP’ers taking over the lineup. Go and enjoy it! Just be aware of the shallow water and the sharp muscles and you will be fine. Sea bed: Muscles reef. Very Sharp! SUP? only experienced SUP SURFERS! 3. Inside Reef – This is the most perfect wave in DK! It’s quick and hollow when the best combo is ON and NOT for Beginners. This is the most perfect wave in DK! Its quick and hollow When the best combo is ON and NOT for Beginners. When the other favourable swell and wind are there, it will be a slow, soft and fat wave. 4. Point Perfect – Point Perfect is perfect when it’s working. Truth is, it’s very rare when you see the perfect left peeling perfectly of the rocks. Point Perfect is perfect when it’s working. Truth is, it’s very rare when you see the perfect left peeling perfectly of the rocks. Beware of the rocks at the take off zone. Point perfect is a great place for surf students, so don’t be surprised if during the summer days the place is taken over by the surf school. SUP? Not right at the point, just move 20-30 meter and you can sup there. 5. Tolderstien/The bay – Strong current will push you east/north east. Don’t fight it, come in and walk back to the start. Strong current will push you east/north east, Don’t fight it, come in and walk back to the start point. Wave Type: beach break. Left and right. 6.Krovej – Strong rips and currents. What may seem easy from the beach might be a pain in challenge in the water. Strong rips and currents. What may seem easy from the beach might be a pain in challenge in the water. Suitable For: Beginners and above. 7. Fisherman Corner – On its day it’s a draining right hand barrel on 20cm depth water mixed with stones. On its day it’s a draining right hand barrel on 20cm depth water mixed with stones. If you doubt yourself, don’t try it, it will smash you straight to the beach. Suitable For: Experts and kamikaze surfers. 8. Fakir – Watch out the metal pieces when you enter and exit the water. It might even be hidden between the rocks. Watch out the metal pieces when you enter and exit the water. It might even be hidden between the rocks. Easy wave to ride with some steep sections. Wave Type: Reef stretch with left and right handers. Suitable For: Intermediate and above. 9. Fish Factory/Wind Mill – Excepth the SUPers watch out the terrible fish factory smell. SUP? SURE! That’s the sup mecca! Don’t miss it as a SUPer! Except the SUPers watch out the terrible fish factory smell. 10. 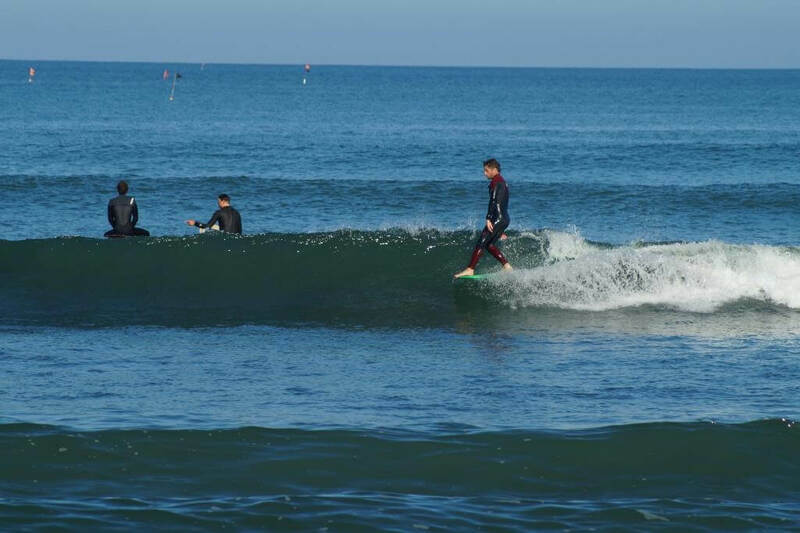 Middles – Strong currents and when its big barly impossible to make it to the lineup. Strong currents and when its big barley impossible to make it to the lineup. Watch out and give respect to the wind surfers! They are all over the place and they been there first! 11. Hamborg/Alian’s/Sjoko’s – Pretty sure that the name Alian’s came to live by Sjoerd Kok! Pretty Sure that the name Alian’s came to live by Sjoerd Kok! 12. Bøgsted Rende – This place depend on the sand shape. 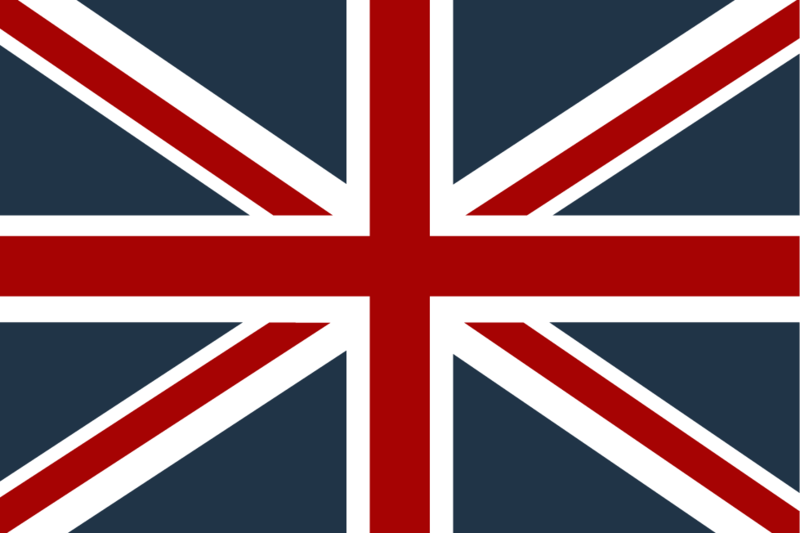 It it’s in place, it can be overhead spitting barrels like in La Graviere, France. This place depend on the sand shape. If it’s in place, it can be overhead spitting barrels like in La Graviere, France. In that case, it’s for expert surfers only. 14. Small Pier – Getting very crowded. Don’t miss the fish balls in the local Røgeri. Getting very crowded. Don’t miss the fish balls in the local Rogeri. 15. 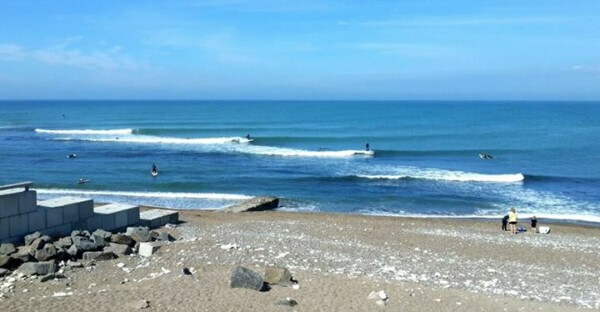 Big Pier – This surf spot is not working at the moment due to heavy sand traffic at the end of the pier. This surf spot is not working at the moment due to heavy sand traffic at the end of the pier. This causes blockage if the swell into the normal surf spot. 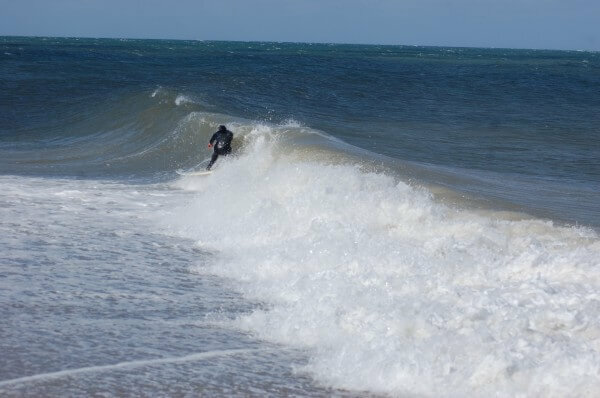 On the other hand, try find some nice waves on the new outer sand bank and you might get lucky. SUP? NO. Compact area dangerous for others! 16. 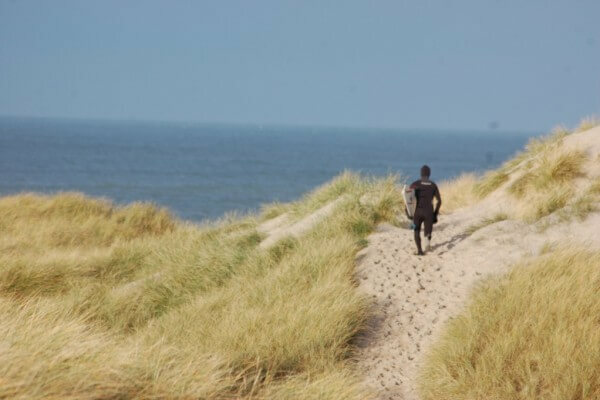 South Side – Heavy shore break, mu favourite surf spot in Denmark. Can get som real big barrels! Heavy shore break, my favourite surf spot in Denmark. Can get some real big barrels! 17. Stenbjerg – Stjenbjerg can be epic and can be very bad! All depend on the sand move..
18. 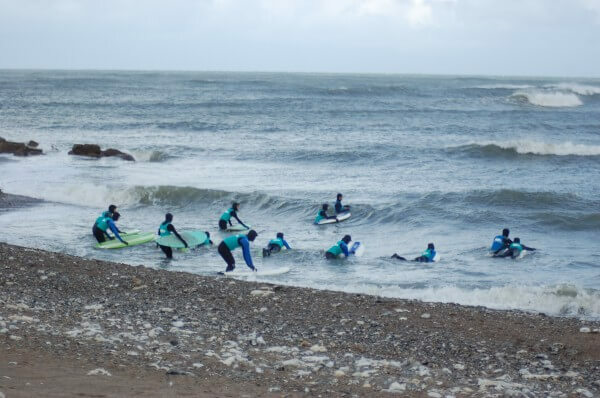 Lyngby – Lyngby was a great surf spot years ago with stable barrels right on the beach. 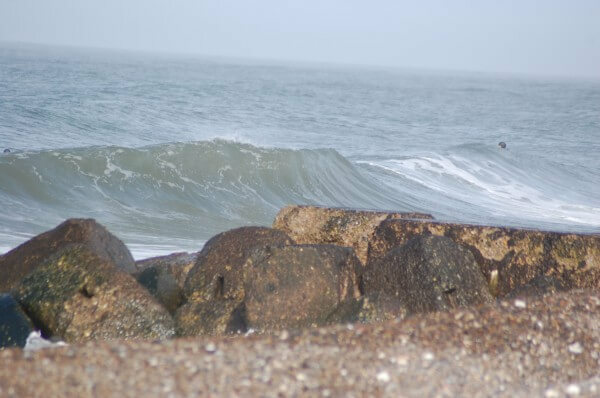 Lyngby was a great surf spot years ago with stable barrels right on the beach. But like any other surf spot on the west coast is depend on the sand movement. The last years the place didn’t provide the same old waves and the sand dunes that collapsed into the water has pushed the line up quiet far out at sea. 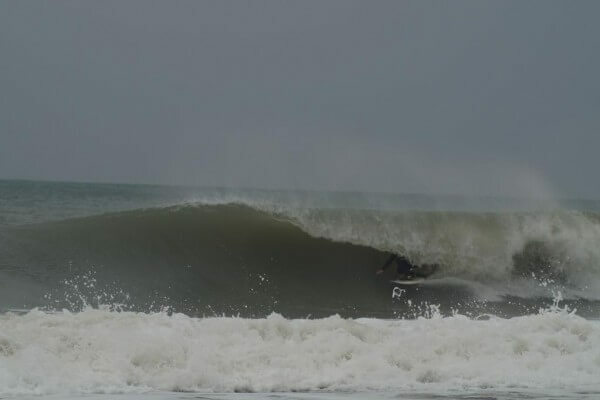 Still producing occasionally similar style left hand barrel under the right conditions. Watch out the strong current! 19. Agger – Agger is ling stretch of sandy beaches with endless piers dividing the beach. Agger is long stretch of sandy beaches with endless piers dividing the beach. Every time the conditions are right it’s possible to find a good wave around. It’s all about the adventure! Take your time and go search! 20. Agger big pier – A lively far away surf spot where nature and surfers are one. Good shelter from the south wind and can hold very big waves as well. A lovely far away surf spot where nature and surfers are one. Good shelter from the south wind and can hold very big waves as well. Say hello to the seals ! Wave Type: Beach break mostly left hander. 21. 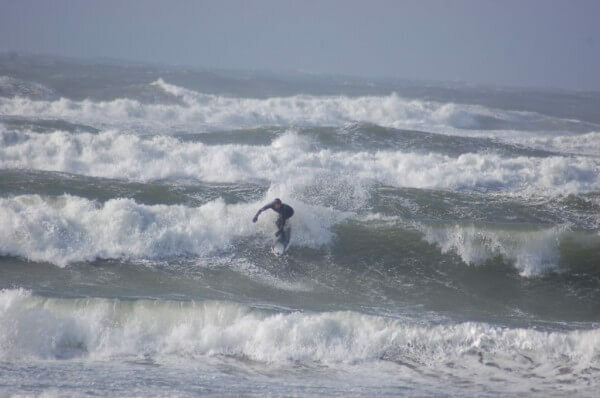 Agger Channel – For the waves to break there, we need a giant W/NW swell to hit the coast line. Come here when everywhere else is out of controld and too big. For the waves to break there, we need a giant W/NW swell to hit the coast line. Come here when everywhere else is out of control and too big. 22. Bunkers Beach Break – Bunkers Beach is an amazing place. The biggest barrels I have seen in Denmark were right here. Bunkers Beachy is an amazing place. The biggest barrels i have seen in Denmark were right there. Depend a lot on the sand flow, you can get a heavy, tricky and powerful ride right in front of the bunkers parking lot.